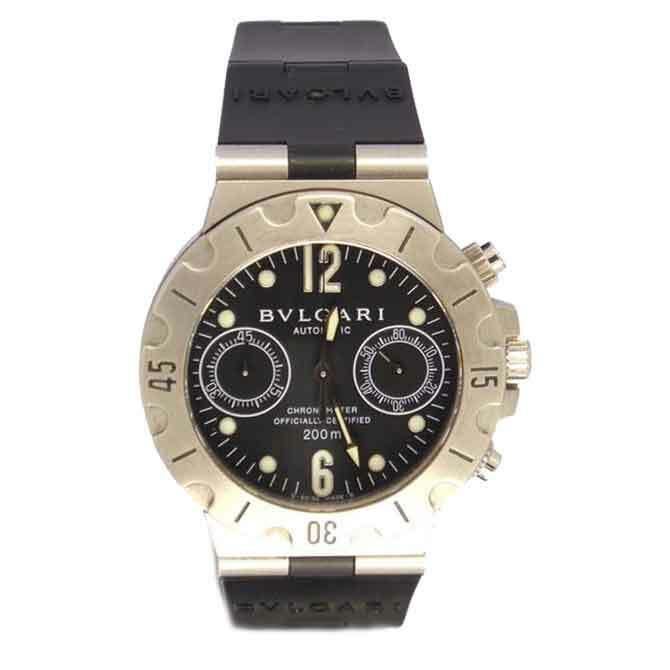 Bulgari Diagono Chronograph in stainless steel. 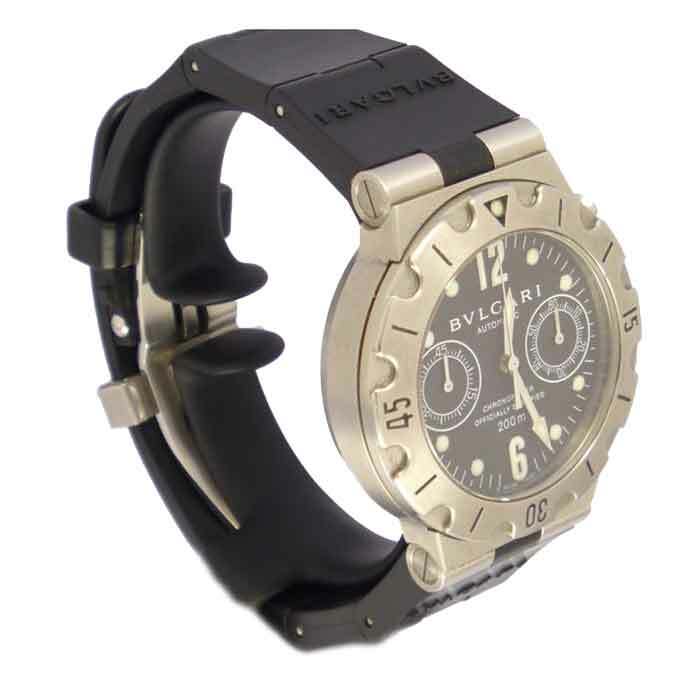 Black dial with Arabic numeral and dot hour markers. Uni-directional rotating bezel. 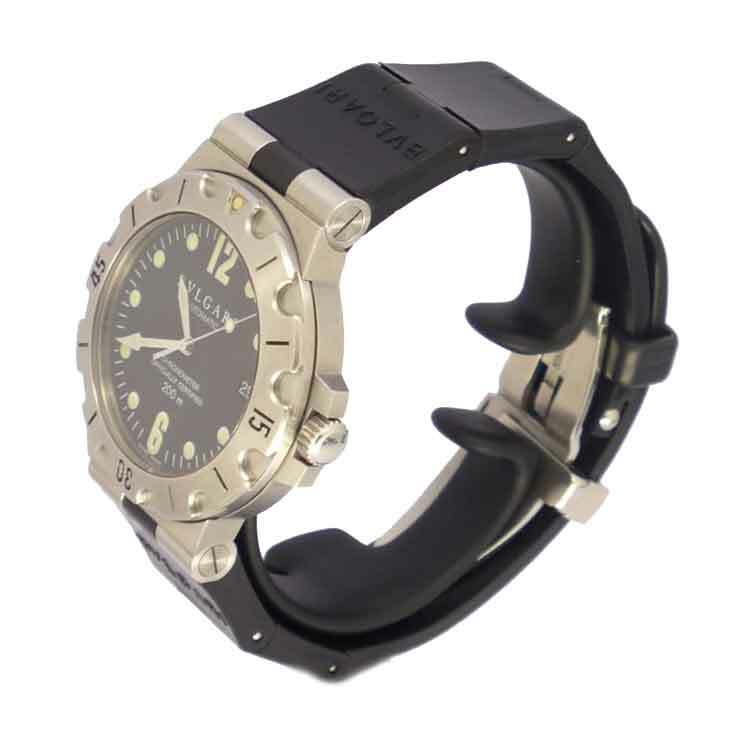 Black rubber strap with stainless steel buckle. 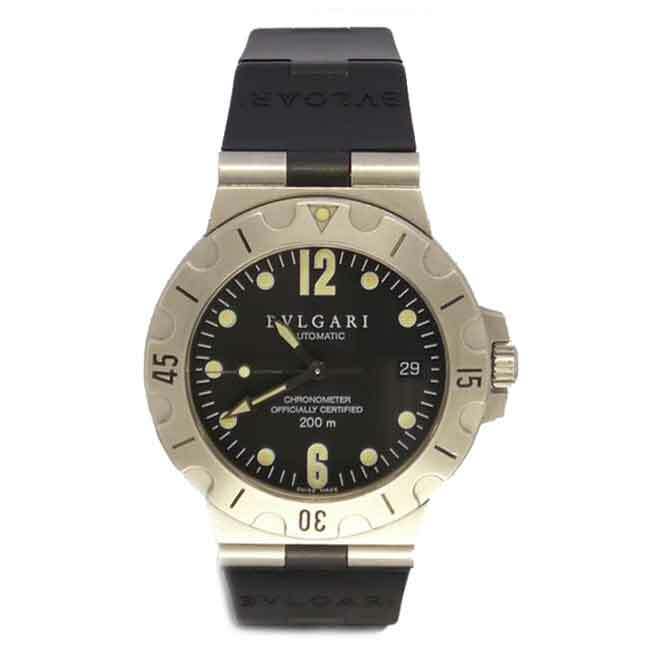 Bulgari Diagono Scuba in stainless steel. 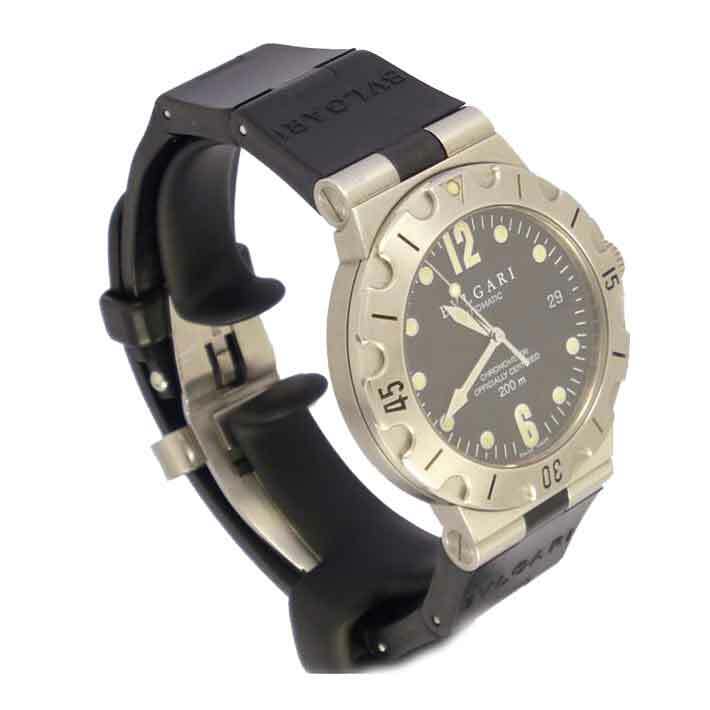 Black dial with Arabic numeral and dot hour markers. Uni-directional rotating bezel. 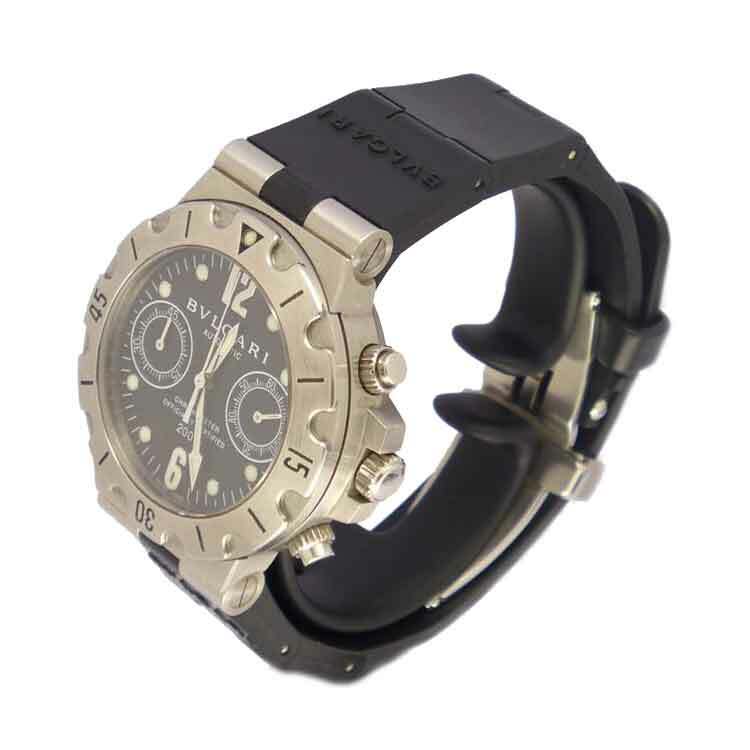 Black rubber strap with stainless steel buckle.